You'll be £5.99 closer to your next £10.00 credit when you purchase Tracing Your Ancestors. What's this? This accessible, well-organized, easy-to-use beginners' guide to the world of family history is essential reading for anyone who wants to find their way into this fascinating subject. In a series of short, practical chapters Simon Fowler takes readers through all the first steps that will reveal the lives of their ancestors and the world they lived in. Simon Fowler's introduction, which is founded on a career of genealogical research and writing, is an indispensable basic book for anyone entering in the field. to find what you want within each chapter. Well illustrated, this book is an excellent starting point for a newcomer just starting out on seeking out their ancestors. “I would recommend it to anyone beginning their research and also it’s a good reference book to keep handy for the more experienced. ... there are huge numbers of people embracing genealogy as a hobby or more serious persuit daily who, of course, need guidance through the minefield of websites, archives and record offices before they graduate to the more specific tasks of researching military textile worker or perhaps emigrant ancestors. So how does genealogist, writer and archivist Simon Fowler's new book differ from the many other beginners' guides on the market? Does it offer more expert guidance than its competitors? Chapter 1 , 'Starting at Home' offers advice on how to make a start by interviewing relatives, being organized (including using software), identifying old photographs and the importance of heirlooms. it's pretty obvious stuff, but offers sound advice. Subsequent chapters deal with finding information online, using archives and libraries, birth, marriage and death records, the censuses, wills, military records, 'other sources' including the police, merchant seamen, migration, India and freemasonry, printed sources such as newspapers, and finally outlining information about Scotland and Ireland. These chapter are followed by appendices and a brief index. Some of the appendices themselves are potentially quite helpful, including contact details and suggestions for further reading. The book is well illustrated throughout, with many colour photographs, giving examples of the types of documents that researching their family history will come across. For the past few years, Pen & Sword's catalogue of books aimed at family and local historians has increased substantially. One of the obvious remaining gaps, a general book on researching ancestors, has now been filled with this volume by Simon Fowler. But is it just yet another book on the subject in an already over-crowded market? Thankfully, the author's background as an archivist at The National Archives and the Society of Genealogists, as well as his expertise in military research, show through. This book is certainly up with the best. The content is logically organised, and the chapters are short and easily digestible. Aimed at the complete beginner, every aspect of research is covered, from interviewing relatives and finding family papers, exploring websites and archives, using the census, parish material, newspapers and directories to very many other sources that can throw light into the past, including military records, wills, and records relating to immigration and emigration. There is also much in the chapters that could possibly be new to even the more experienced researcher, although if your interests lie outside of England and Wales this book is probably not for you, as Scotland and Ireland are squeezed into a final chapter of 16 pages. If you are in need of a good basic guide to family history research, Tracing your Ancestors is a serious contender. This accessible, well-organised, easy to use beginners' guide to the world of family history is essential reading for anyone who wants to find their way into this fascinating subject. In a series of short, practical chapters author Simon Fowler takes readers through all the first steps that will reveal the lives of their ancestors and the world they lived in. He looks at every aspect of research, from finding family papers and interviewing relatives, through exploring websites, archives, newspapers and directories, to all the other sources that can throw light into the past. In a clear, straightforward way he explains how vital records of births, marriages and deaths can be used as the starting point in a sequence of eye-opening family detective work. Simon Fowler's introduction, which is founded on a career of genealogical research and writing, is an indispensable basic book for anyone entering the field. Simon Fowler's impressive family history credentials mean that his new book is not ubiquitous tutorial. Instead, the text follows the flow of a researcher's experience. The first chapter deals with discussions with relatives. However, Fowler recognises that this might be centred on pictures, so he looks at the dating of photographs - including military ones. He also outline resources. And all of the usual major sources are reviewed, including civil registration, the census, parish registers and wills. Military records covered in depth, as are neglected sources, such as trade directories, apprenticeship records, and periodicals. While the guide focuses on England and Wales, Fowler also mentions research in Scotland and Ireland. Overall, this is both an extremely worthy beginner's guide and a useful refresher for genealogists with some research experience. Genealogist and writer Simon Fowler goes back to basics with this practical, informative and easily digestible guide to tracing your family tree. He advises just how to start out on your family history journey, by beginning with 'what you know' and interviewing relatives to lay the foundations of your tree. Every aspect of research is covered here, from exploring family papers and heirlooms to explaining why civil registration is so important, and which are the most useful and helpful websites. Written in a jargon-free, clear and entertaining style, the book is laid out simply and methodically, a perfect aid as you take your first unsure steps into what can at first seem a daunting world of family history. The well thought-out appendices include a sample form to 'jot down' what you already know about a family member, addresses of major archives and libraries, and simple advice on how to read old documents and draw up your growing tree. Hundreds of books are available nowadays on the vast topic of family history, but Simon Fowler's extensive knowledge and experience make this one stand out from the crown. Packed with tips and anecdotes – giving it a pleasant personal touch – and illustrated with photographs of the kinds of records you can expect to find, this is another excellent read from a leading authority in the field. It's certainly one i will dip into again and again. The author is a leading authority on family and military history, a former editor of two national family history magazines and has the experience of 20 years as an archivist at The National Archives. This is an excellent guide for beginners, being well organised in short informative chapters. Each chapter covers a specific category of records such as BMD's, censuses, wills, military records, archives, libraries and printed sources. Many TNA references are given and there is a useful bibliography. As someone who has only been involved with Family History for a couple of years I found the book an invaluable source of information and assistance. Written by Simon Fowler it follows a logical approach to this intriguing subject. The book starts by stressing the importance of what you may well have around you particularly old photographs, documents,diaries press cuttings etc and how they can assist in understanding your ancestors and the type of life and experiences they may have had. How vital it is to talk to any relatives that may be able to identify photos of individuals and groups. A useful check list is given with tips as to how to get them reminiscing about the old days . We all have boxes of old photos and not a clue who they are. Also mentioned is how to look after those family treasures which get stored in cardboard boxes, so they may be passed on to future generations and not perish through unintentional neglect. The book moves on to recommend how to maximise the use of Public Libraries, the various archives both local & national, the local family history organisations and of course the Federation of Family History Societies. How to use and obtain Birth, Marriage, and Death certificates and the clues these certificates can give. Methods of access and use of parish registers and the difference in the procedures of the various religions and faiths, together with interpretation and use of The National Census with some of the pitfalls which may be encountered is discussed at length. The use of military records is covered in some detail and is further expanded in other publications by Pen & Sword. My only complaint about this well written and presented book is that it was not available when I started my researches. It would have saved me a great deal of time and money. 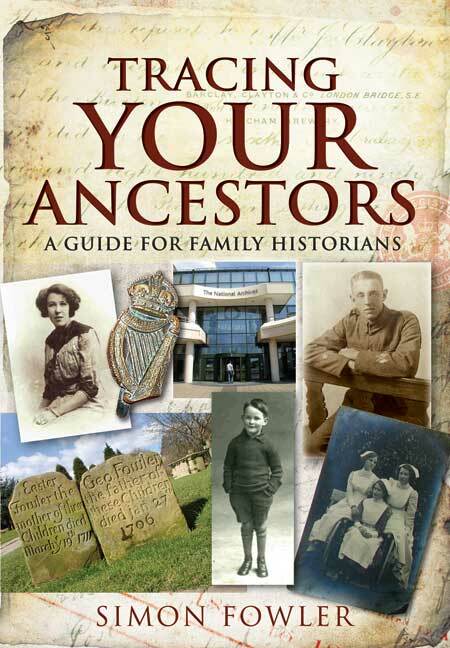 If you would like to start to research your family history and ancestors but haven't got a clue where to start, then Tracing Your Ancestors: A Guide for Family Historians is the book for you! With detailed information on archives, websites, birth, marriage and death records as well as sources such as newspapers, directories and the internet, this book is a great step-by-step beginners guide that will make the daunting task of researching your family history a lot easier. 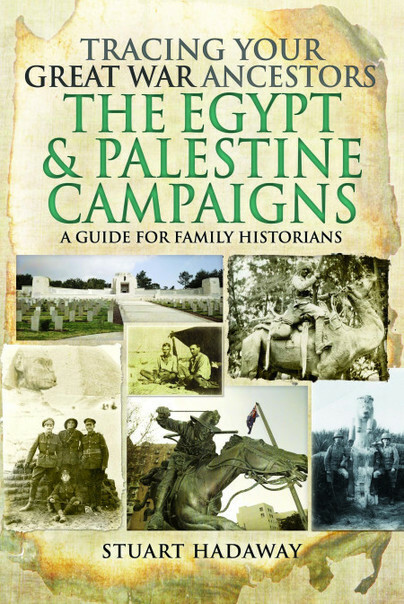 Simon Fowler has written many books on family history including Tracing Your Second World War Ancestors, The Joy of Family History, Tracing Your Army Ancestors and A Guide to Military History on the Internet and this book is sure to be an excellent addition to his extensive and informative collection.